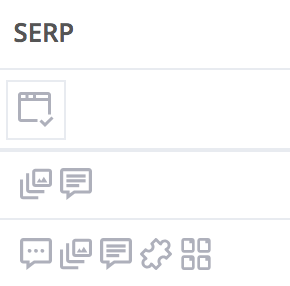 Overview of SERP column in AccuRanker and understanding the icons. 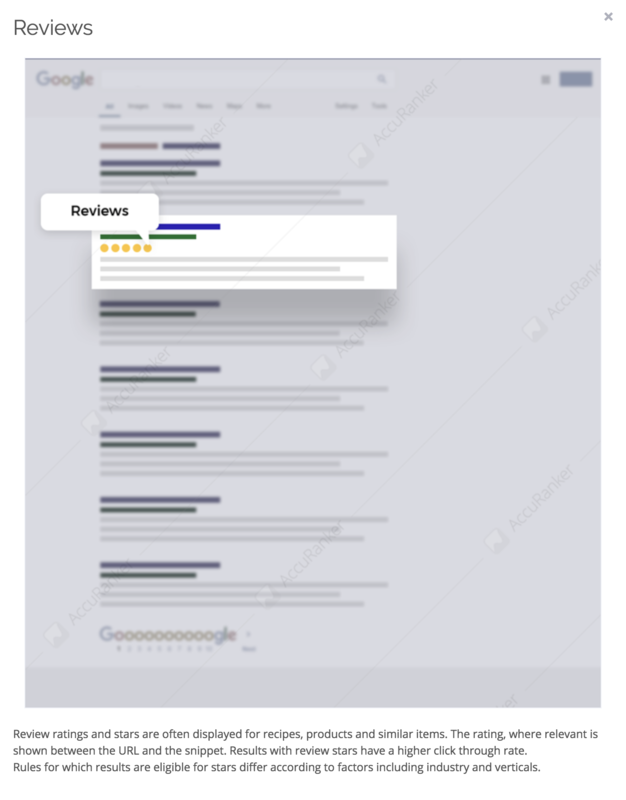 In AccuRanker, you can see which features the entire SERP page has, without the necessity to Google it, with the SERP features column. 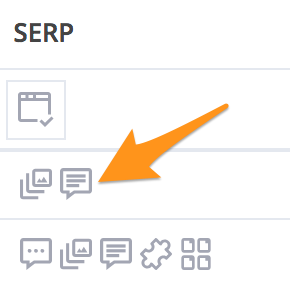 To filter your keywords list to only shown keywords with certain SERP features, click on the small icon under "SERP". Now, you can choose from these various options what would you like to do next.